University of Arkansas Press, 2016; 160 pp; $17.95. In her sharp and entertaining collection of persona poems, Hagar Poems, Mohja Kahf unearths and examines the seeds of division between women in religious narratives. An immigrant born in Damascus, Syria, Kahf blends American and Syrian influences in her work. 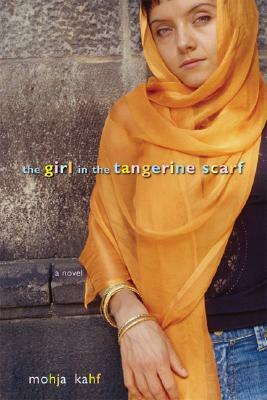 She is the author of two other books: the poetry collection, Emails from Scheherazad, and the novel, The Girl in the Tangerine Scarf. 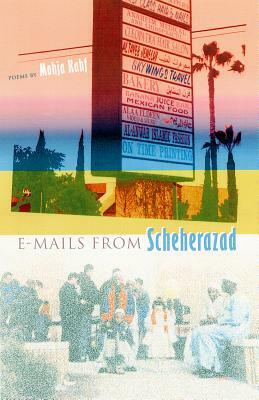 Like Hagar Poems, both of her previous books set Arab characters against suburban American backdrops to explore the role of women and to chart the convergence of disparate ethnic and religious groups. Throughout Hagar Poems—which is divided into three sections—Kahf speaks through several female characters from the Quran, juxtaposing sacred ancient stories with contemporary settings and chatty dialogues. She seems, in the end, to be seeking a kind of religious and cultural middle ground: attempting to connect not only to her Muslim brothers and sisters, but to non-Muslims as well—readers like me. I was raised in the Evangelical Christian church completely unaware that the Quran offers alternate versions of many Bible stories. For example, in the Bible Hagar is the young Egyptian servant of a very old woman named Sarah, Abraham's wife. Because Sarah thinks she can no longer have children, she offers Hagar to Abraham to impregnate. The product of this illegitimate union, a boy named Ishmael, is burdensome (like his mother), and, after the improbable birth of Sarah's son, Isaac, Hagar and Ishmael are "freed" into the desert, relieving the household of trouble. But in the Quran, the story unfolds differently. Ishmael is virtuous, and Hagar is not Sarah's servant; she is an Egyptian princess and one of Abraham's wives. Still, Abraham ultimately abandons Hagar and Ishmael in the desert. They nearly die of thirst, but God is faithful to them. Sarah is the mother of modern day Christianity and Judaism. Hagar is the mother of modern day Islam. But both women are at most peripheral characters in their own stories. Abraham, Isaac, and Ishmael dominate. Sarah and Hagar exist as little more than bickering wombs. In fact, in the Quran, Hagar is not even mentioned by name. Kahf's treatment of the Hagar story, however, is fascinating and novelistic in scope. She seems determined not only to name Hagar and to explore her side of the story, but to point out the great irony of the relationship between Hagar and Sarah: neither woman had any real power. In poems voiced by both characters, Kahf de-symbolizes and dethrones the ancient queen mothers of Ishmael and Isaac, portraying them as two ordinary women who find themselves in a complex and painful power struggle: a kind of tug of war over the loose threads that dangle from the robes of the infinitely more powerful men they are bound to. Kahf reveals—through a series of letters and dialogues—how an oppressive patriarchy has forced the two women, who might otherwise have been friends, even family, to resort to petty power-grabs. Both women realize this and both women grieve. Here, Sarah feels in her pregnancy that she has become Hagar and realizes that her duty was to support Hagar, not make her life harder and ultimately reject her. Sarah has failed at participating in what she calls the "sisterhood of pregnant women." You were always typing up his papers. But Sarah, did you ever have a thirst? Did you ever take off on a quest? To make you rail against the sun and stars? Have you found a god who will not fail? Hagar describes the freedom Abraham has had to question, to explore, and to find the truth for himself, and implies through her questions that Sarah has not been afforded the same agency. Instead, she has been a mere transcriptionist of her husband's experience. Hagar is not insulting Sarah by pointing this out. Rather, her tone is imploring. But don't you want to experience enlightenment for yourself? she seems to ask. Don't women deserve that, too? In the middle section of the book, Kahf introduces several additional characters: Mary (mother of Jesus) and Asiya (a Pharaoh's daughter) among them. Perhaps too much like the opening Hagar sequence—Kahf's approach is redundant at times—these persona pieces dip into story after story, imaging new dialogues and forging or renewing relationships between the Quran's female characters. Although the book lags a bit in the middle, Kahf picks up momentum in the end. She concludes with a long poem titled, "Little Mosque Poems," in which she explores her own relationship to Islam and offers a sketch of how the faith might become more inclusive. Throughout this final poem, she implores current practitioners of Islam to adapt and modernize while presenting herself to westerners as an alternative to prevailing stereotypes about Muslim women (that they are submissive, secretive, and out of touch). 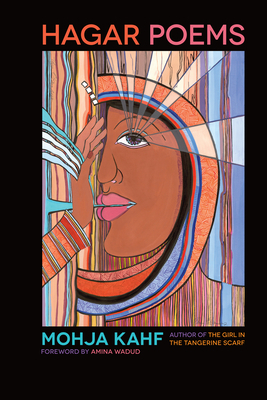 "Little Mosque Poems" is an extremely personal meditation on Kahf's struggle to be an empowered Muslim woman today. She is not speaking "as" anyone else here. She is grappling with the contradictions inherent in her own life/faith. Here, the poet is being completely sincere, and her rhymes respond accordingly, shifting from punchy exact to a more contemplative slant: leave/lava, places/faced, fabrics/fantastic. She extends the line as well, the precision of her images reinforcing the argument that her affection for these things is real. Kahf's work acknowledges that ancient beliefs and cultural practices can seem impossible to reconcile with modern life, yet she remains clear-eyed and optimistic. She does not seek to destroy the mosque; she seeks to rebel, rethink, and rebuild. If bigots are breaking your windows, she suggests you try opening your doors. In revisiting the old stories, she seeks to yield different results, fresh meaning, and perhaps a more hopeful place for the faithful to stand. MRB Chelko is the author of several chapbooks including Songs & Yes (2016) and Manhattations (2014), which was selected by Mary Ruefle for a Poetry Society of America Chapbook Fellowship. Chelko’s publications include Black Warrior Review, Cincinnati Review, Crazyhorse, Gulf Coast, Slice, and Poetry International. A recent John Ciardi Scholar at the Bread Loaf Writers’ Conference, she teaches in the low-residency MFA program of the New Hampshire Institute of Art and lives in New York City.